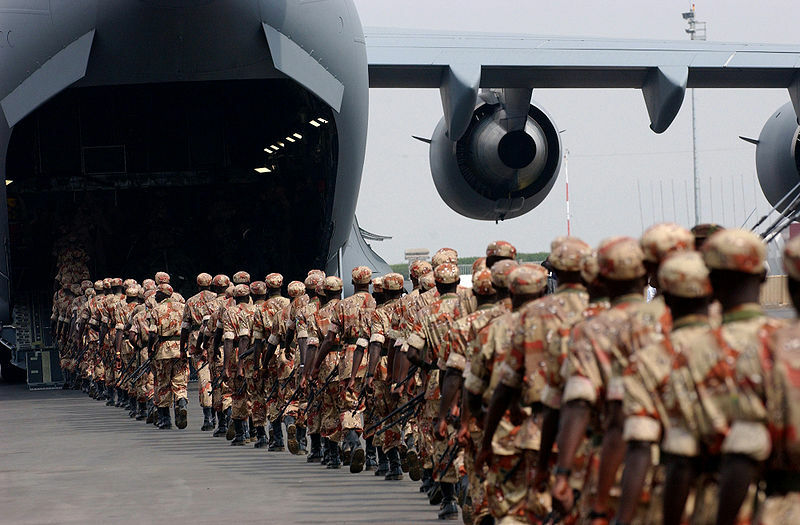 Rwandan Soldiers deploying to Darfur, 2005. USAF photo by Staff Sgt. Bradley C. Church, via Wikimedia. In the face of a systematic campaign of atrocities against Syrian citizens, challenging the perpetrators is the most effective way to slow or stop the killing. The US and its allies should ratchet up existing sanctions, and pressure Syria’s partners to stop undermining sanctions’ effectiveness. Sanctions are effective in reducing the severity of, and eventually ending, campaigns of mass killings. Already sanctions are beginning to have dramatic impacts on the regime’s viability. We also need to continue to publicly name the Assad regime and its agents as mass murderers, and shame its allies as accessories to crimes against humanity. Such “naming and shaming” (ungated) pressures perpetrators to change behavior to maintain legitimacy and avoid alienating allies. Strong statements by human rights organizations, the US administration, former Syrian allies such as Turkey, and the UN Human Rights Council are having an effect among Assad’s Alawite supporters. Continued pressure may eventually convince the regime’s remaining allies that Assad’s pariah status will affect their reputations and interests. Impartial observer missions are necessary for gathering information on the atrocities being committed, but insufficient if the goal is slowing or stopping the killing. When perpetrators of atrocities block observers from massacre sites, shoot at them to keep them from their task, and author new massacres as the ink dries on yet another ceasefire or UN peace plan, they are telling us that they see such missions as toothless nuisances, rather than credible threats to their reputation or security. 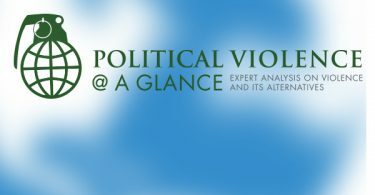 Once the killings have begun, only interventions that challenge the perpetrators of atrocities slow or stop the killing (ungated). As Barbara Walter argued here a few weeks ago, “Right now the greatest threat to Assad’s regime is outside intervention in favor of the opposition. 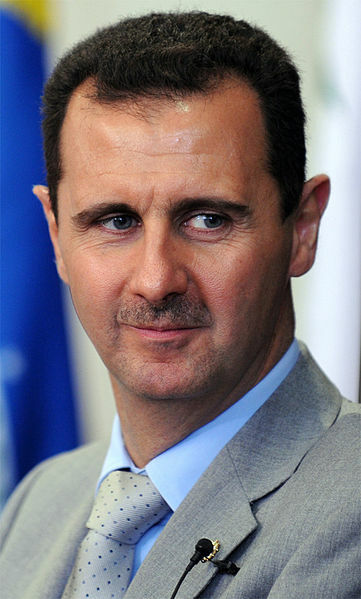 The longer Assad can convince the international community to stay out, the longer he is likely to stay in power.” Interventions that challenge the perpetrator signal commitment to stopping atrocities, divert resources from the killing of civilians, make people carrying out the killing worry about the consequences of “following orders“, remove perpetrators from power, or otherwise slow or stop the killing. Need examples? Think NATO vs. Libya last year or in Kosovo in 1999, Australia and the UN in East Timor in 1999, Vietnam vs. the Khmer Rouge or Tanzania vs. Idi Amin in 1979, or India vs. Pakistan in 1971, as opposed to failed “impartial” missions in Bosnia and Rwanda, or most recently in Sudan. Is it surprising that only when AU soldiers disregarded their constraining mandate to actually protect targets were perpetrators deterred in Darfur? But what is effective is not what is likely to happen, or what is politically possible. Constrained by Russia and China and distaste for further military misadventures in the Middle East, the U.S. is unlikely to directly intervene in Syria. The best “doable” options for now are to keep the pressure and spotlight on atrocity perpetrators, keep their allies feeling the consequences of aiding or shielding them, encourage further defections, and encourage actors such as the UN or Turkey to challenge the current regime and help ease it out of power.